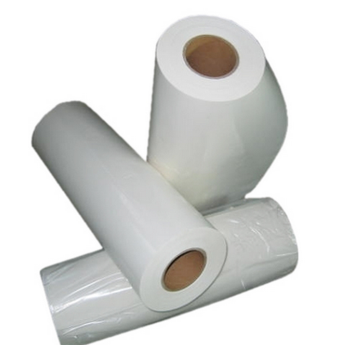 Water-Soluble Pva Film – HCM Agro Products Private Ltd.
PVA film with properties of excellent gas barrier, water-soluble and biodegradable, has become one of the most successful eco-friendly materials in recent years. Being universally recognized by environmental protection authorities and public users, PVA film is more and more widely used in various application, for example, packaging for pesticides, dyestuff, cleanser, detergent and other chemicals ; biodegradable packaging film for infection control and medical disposal; embroidery underlay and releasing. PVA film is a kind of ‘Green’ packaging material. It is verified by microorganism test that PVA is non-toxic and does not restrain from the growth of microorganism and can be bio degraded completely. Once PVA dissolve in water, specific microorganism will cause it to degrade. When being treated with sludge, PVA solution will be decomposed into water carbon dioxide. PVA film has excellent water solubility and is able dissolve in different water temperatures and at different solving pace. PVA film is antistatic and excellent for electronic products packaging. PVA film has an excellent gas barrier to different gas elements e.g. oxygen, nitrogen, hydrogen, argon, carbonic acid gas etc.Except moisture and NH3. The gas barrier property makes PVA an excellent preservation packaging for the food by keeping the freshness. As PVA film is separated easily from hydrophobic plastic and released easily from various organic materials that have a little polarity. PVA film has been epoxy resin or other thermosetting resin. PVA film resists animal oils vegetable oils mineral oils, fats, organic solvent and hydrocarbon to penetrate and is excellent packaging for organic solvents and oily products. PVA film has good water solubility and it can dissolve at different temperatures with different dissolving pace. Chemicals used in agriculture are usually highly toxic and cause severe pollution, endanger to health. Therefore people have been paying more and more attention to the materials of agricultural packaging. As PVA packaging film and beg have unique physical property and bio degradability, they have been more and more popularly used in the packaging of fertilizer and pesticides in recent years.